JSU | JSU News | JSU Drama to Present "Right"
JSU Drama to Present "Right"
JSU Drama will present the world premiere of “Right” by Nedra Pezold Roberts, winner of the 2018 Southern Playwrights Competition, on Jan. 31 and Feb. 1. Performances will take place at 7:30 p.m. at the Stone Center for the Performing Arts. In this original play, a Pulitzer Prize winning journalist, Jake, wants to re-open his investigation into an oil scam. His editor is proud of the young newsman he has mentored, but wants his protégé to move on to other stories. To complicate matters, Jake is in love with Darcy, the daughter of the man found guilty of engineering the oil theft. Darcy’s aunt wants to protect her niece from further pain. Now Jake must grapple with an even bigger question: whether doing the right thing is always the right thing to do. "Right" is the second play by Nedra Pezold Roberts produced by JSU Drama. Her play “Vanishing Point” won the Southern Playwrights prize in 2013. Established in 1989 by the JSU English department, the Southern Playwrights Competition seeks to identify and encourage the best of Southern playwriting. 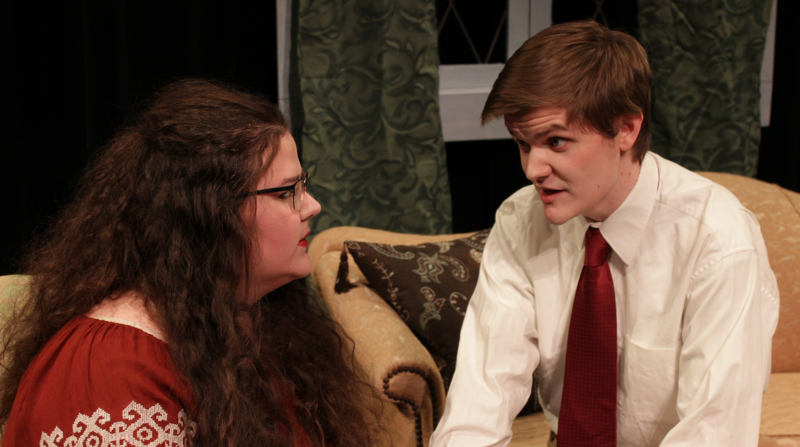 Winning Southern Playwright selections are considered for production by the JSU drama department. The show is directed by Dr. Michael Boynton, assistant professor, and stars Eric Wilkerson, Tabitha Rayburn, Sam Eddy, Kevin Jannot and Jake Lewis. The crew includes Rebecca Weaver, stage manager; Elizabeth Neese, scenic design; Ansley Gayton, costume design; Allison Angel, lighting design; Gregory Heathcock, sound design. Tickets are $10 and available at the Box Office or online. Students registered in a drama class this semester will be admitted free of charge.